In Toon Boom Studio you can import bitmap images. You can also import multilayered Adobe Photoshop *.psd (version 4 or higher) files and retain their layering when you enable the option during the import. Toon Boom Studio creates an image element for every layer contained in the PSD file. 2. 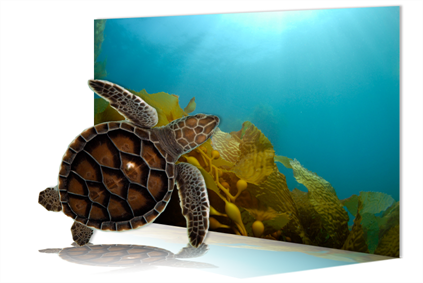 Browse for your multilayered PSD image file and click Open. 3. In the Image Import Options section, the Fit Image to Camera Width option is enabled by default. This means your image is resized to fit the camera width frame. You can disable this option to import the image at its original size. 4. 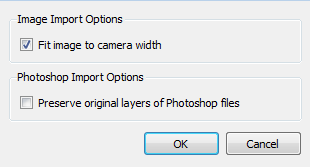 In the Photoshop Import Options section, the Preserve original layers of Photoshop files is deselected by default. This means means that when you import the PSD file, the layers are flattened to create a single image element in your scene. You can enable this option to preserve the PSD file layering, which creates a different image element for each layers contained in your Adobe Photoshop file. You can also select a PSD file directly from your operating system browser and drag it in the Camera, Drawing, Top, Side, Timeline or Exposure Sheet view. Then, follow steps 3 and 4.